There are some really fun and unique quilt/sewing books published over recent months. I’ve had a growing stack I’ve acquired over the past few months that I’ve wanted to share and review here. I like that each of these books has a unique style and is something different than other quilting books in my library. Sometimes I am asked by publishers to review books and I don’t say yes to every invitation – only if it is something that really speaks to me personally. If you’ve been paying attention to the online quilting world over the past few months, you have probably seen Vanessa Christenson’s Color Series. Here are the first three books in the series: Red, Orange, and Yellow. Each book is a hard bound book with lots of information on choosing colors and color combinations, color theory, as well as six unique projects per book. Each book is also filled with inspiring and gorgeous photos, that definitely get my creative juices flowing. There is a lot of beautiful inspiration, information, and fun, do-able projects. The Green Simply Color book came out this summer and the Blue book will be released in a few weeks, with Purple not far behind. You can read more about Vanessa’s experience creating these fun books on her blog. I discovered Simply Strings by Rana Heredia at Quilt Market last spring. Rana had booth with really fun, creative quilts, many of which are in her book. 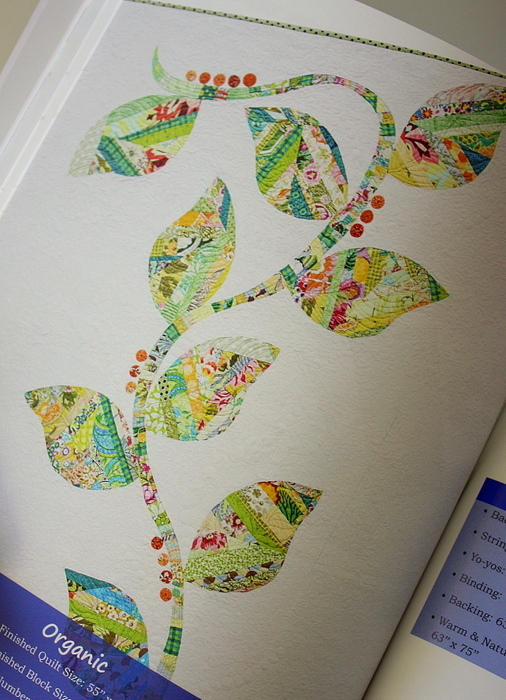 This is a GREAT book for using up scraps since most of the designs use string-pieced units to create the overall design. Many of the quilts are inspired by traditional quilting designs, with the added string-pieced dimensions. Other patterns are a much more modern in design, incorporating the scrappy string blocks to make a larger over-all design, like this Organic vine. This is the whole quilt – 55″ x 70″ to give you a size reference. Rana has done this with another pattern (not in the book) a giant string-pieced deer head. So cool. Simply Strings can be found in Rana’s shop, Etsy, and hopefully, your local quilt shop! Sweet Tweets is a brand new book by Erin Cox and is such an adorable little book! This book has lots of darling applique bird designs – so, so sweet. There are 11 projects as well as a section about free-motion applique. See the stitching on that tree trunk? All done by stitching with a sewing machine! This is a whole new design style for me. I think I’ll need some practice to build my confidence, but many of these are just the right size to get that practice in. I finally picked up a copy of Elizabeth Hartman’s Patchwork City this summer. I’ve had my eye on this book for a while. I like modern quilting motifs, but most of my own modern quilting designs are based on very traditional motifs. 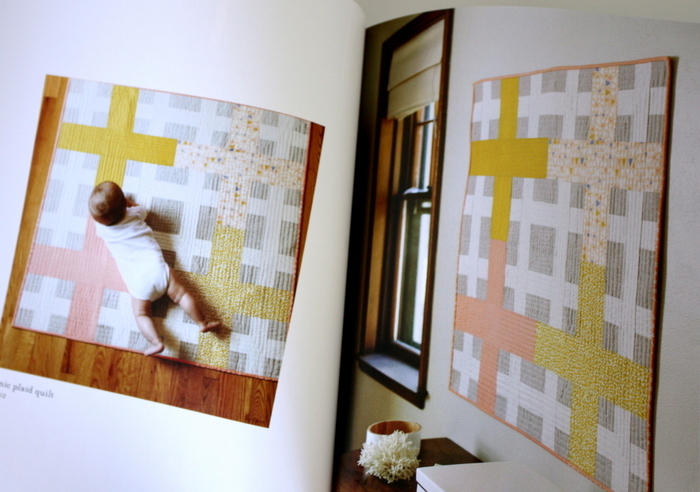 The thing that I like about this book is that Elizabeth gives a huge variety of very modern quilt blocks in many different shapes and sizes, as well as 6 different layouts using those blocks. I feel like this book will help me break out of my comfort zone and try some more modern looks. 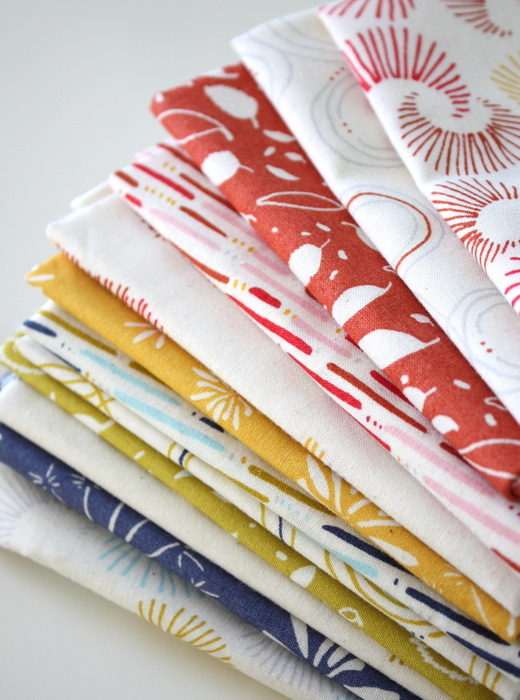 Plus, I’m always inspired by Elizabeth’s fabric and color choices. I’ve loved just looking through this book. Now I need to actually make some of these blocks! And finally, another one of my favorite current books, Handmade Style by Anna Graham (of Noodlehead). I am always in awe of Anna’s creativity. I have made some of her bag patterns in the past (including the Divided Basket and the Go Anywhere Bag) and I have loved both of them. I have another one ready to go on my cutting table. Anna’s patterns are just awesome and she has such a wide variety of sizes, styles, etc. 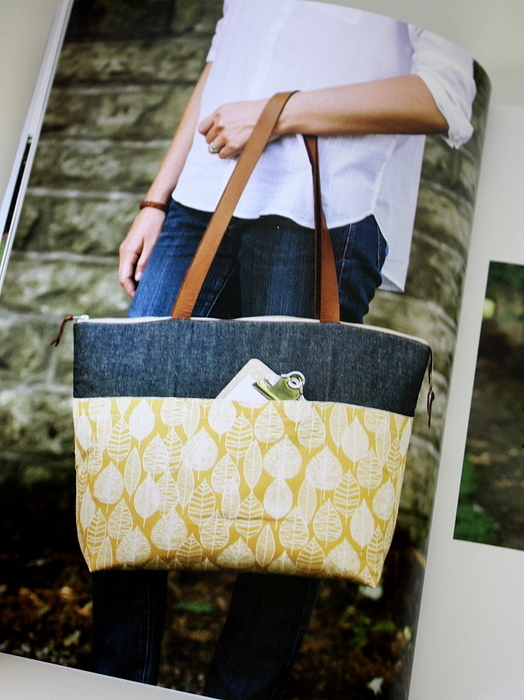 So to have a whole book of 23 patterns (not to mention gorgeous photography) is a dream. So there you go. A whole plethora of inspiring books – each different and unique – so hopefully a little something for everyone. Keep an eye out for them (or request them!) at your local quilt shop. 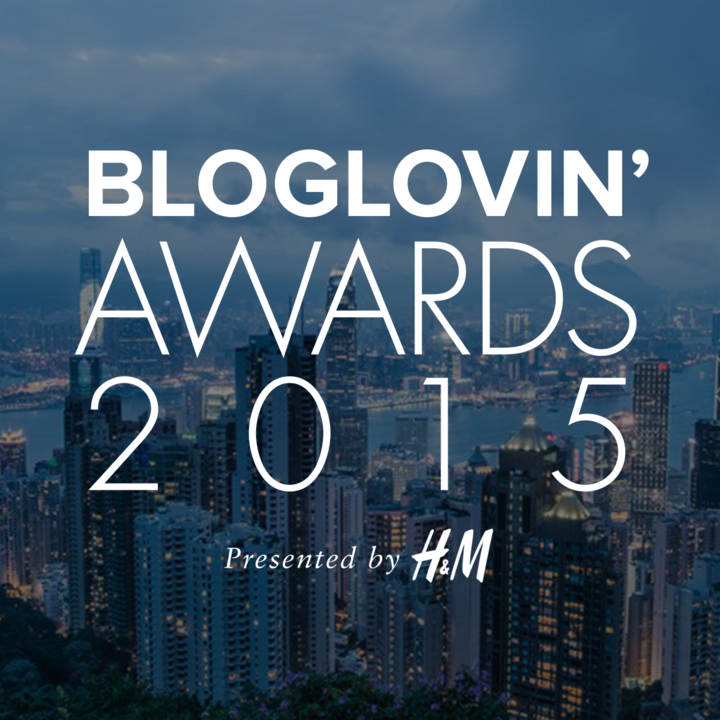 And finally, one last little reminder that this is the final weekend of voting for the Bloglovin’ Awards. I’ve been nominated as the Best Sewing Blog (still a little shocked there) so if you haven’t yet, and you’re so inclined, you can vote here. (Scroll down about 2/3 of the way to find the Best Sewing Blogs. Be sure to enter your email address at the end so that your vote will be counted). Bless those of you who have (and to all those who left such kind comments – I started trying to respond to them individually, and failed.) I’m SO touched by your kind words. Thank you! Want to be a fabric designer? Thank you for the review of the books out! I work a lot of hrs and appreciate that I can look her for new ideas and quilting book ideas too! thanks! Thank you for these reviews – ‘Simply Strings’ sounds like a book for me! Also I definitely voted for you – how could I not :)! Wishing you the best in this, Amy! I was planning to buy a NoodleHead pattern, the “241 tote”. Is it in the book? That pattern is not in the book (that one is on my list too). All of the book patterns are new. I thumbed through Anna Graham’s book at JoAnn’s just an hour ago. It was SO GOOD. I might just have to go back and get it. You’ve got some great books there! I’ve been following along as Vanessa Christenson releases her Color series. I bought Handmade Style this summer and just finished my Patchwork Bench today! I’ve long admired her bags, and I think the clutch is next on my list! Love canyon by Kate Spain!! Thanks for the great book review! A lot to ponder! I did also vote for you and hope you win!!! Good luck, Amy!!! So much great inspiration, thanks for sharing! Now where do I begin? Ooh, that pincushion with pockets and a strap for the scissors is GENIUS! I’ve been looking for the perfect organizer for my take-along needle-turned applique project and that would be just PERFECT! I would just need to figure out how to make pockets for my spool of thread and my little cube of Thread Heaven and then I would be good to go. Thanks for the book reviews — I don’t know whether I would have come across that one on my own. I know! So clever, right?! Thanks for sharing all these lovely books, aren’t you lucky to get to see them all. I love the big tote and the little sewing caddy. Oh and those orange quilts! Lovely. Thanks for sharing Amy! thanks for the shout out Amy! 🙂 mwah! I tried to go to the bloglovin awards like and got an error message saying that it was private and not open to the public; do you know if there is a different link that I should use? Or has it timed out now and I’m too late? You’re so sweet to check – yes, voting ended August 31. Thanks for trying!